Western Europe’s defense as well as a willingness by the European countries to defend themselves against a rising danger from Stalin’s Russia. The Europeans, still recovering from the trauma, dislocation, and economic shortages of the Second World War, wanted peace, but needed a defensive shield to protect their freedom and economic rebuilding. Significantly, West Germany joined the Alliance in 1955 thus adding to Europe’s strategic weight in the shifting the balance of power. The NATO treaty was rooted in collective defense, (Article 5) namely an attack against one is an attack against all. Over the ensuing decades NATO would come to symbolize both military deterrence, and as importantly, an enduring political commitment to Trans Atlantic cooperation. I first visited NATO HQ in Brussels in the late 1970’s when the indefatigable Dutch diplomat Joseph Luns served as Secretary General. During that period, the lines were clear and the Soviet threat to Western European democracy was imminent. The Soviet military advantage in sheer numbers of troops, tanks, artillery, etc., was daunting. Moreover the Carter Administration’s strategic myopia added to the malaise through indecision and missteps. Back even in those days, the debate about Who is paying for NATO was part of the endless political palaver. Retrieving the dusty files from that era reveals unexpected surprises. In 1979, combined American forces in Europe totaled about 300,000. According to the Military Balance 1979-80, Defense spending to GDP by the U.S. stood at 5 percent while America’s NATO allies were woefully short except for Britain at 4.7 percent. But Canada spent 1.8 percent, Italy 2.4 percent, France 3.3 percent, and Germany 3.4 percent. The Soviets by comparison were spending between 11 and 14 percent of their GDP on defense. A 1980 article in the magazine U.S. News & World Report “Can Alliance Unity Survive?” warned that “Rarely, if ever, have the strains been worse,” in America’s standing in the 31 years of the Atlantic Alliance. Fortunately, the Reagan era was on the horizon and many imbalances would be redressed by bold foreign and security policies. But the collapse of the Soviet Union and its Warsaw Pact allies changed the political calculus. Critics would say there was no need for the Alliance which had presumably become obsolete with the disappearance of its principal adversary. NATO’s biggest challenge became “reinventing itself” in the wake of these extraordinary changes. By 1999, NATO redefined its mission and expanded its membership eastwards to include the old Soviet client states; Poland, the Czech Republic and Hungary. By 2004 it welcomed the three Baltic states thus bringing NATO’s military to the doorstep of Russia itself. 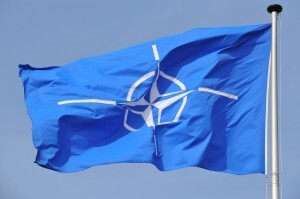 Currently NATO membership stands at twenty-nine countries in Europe and North America. Since the end of the Cold War, NATO continues to participate in multinational missions in Afghanistan, Kosovo, and against terrorism in the post September 11 environment. NATO’s mantra increasingly reflects the concept of projecting stability. That stability is challenged by Russian revanchism. The Trump Administration renewed the old rhetorical fusillades between Washington and its European partners. At the annual NATO Summit, feathers flew as President Donald Trump openly chastised many Europeans for not “paying their fair share” and getting the proverbial “free ride” from the USA. For example, current U.S. defense outlays stand at 3.3 percent of GDP. In Canada it’s 1.2, Italy, 1.1, Germany 1.2 , and France 1.8 percent. 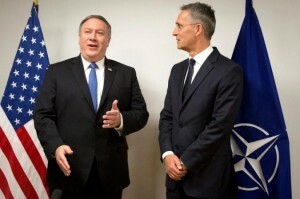 Though the Trump Administration has convinced individual NATO members to increase defense spending, only the United Kingdom, Poland and the Baltic states are reaching the agreed 2 percent annual outlay. The Atlantic Alliance, nurtured through NATO, has been part of the theology of American foreign policy in the post-war era; an immutable defense dogma, a political democratic pole star, and a credo supporting strong Transatlantic Ties. Through its strength, symbolism and shared values, NATO remains the cornerstone of Transatlantic friendship and security. Happy Birthday! 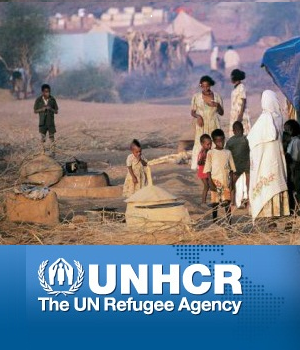 John J. Metzler is a United Nations correspondent covering diplomatic and defense issues. He is the author of Divided Dynamism the Diplomacy of Separated Nations: Germany, Korea, China.